MDR and Maintenance & Operations Manuals for Construction and Manufacturing projects. Need to have your MDR Manuals in digital format to produce for your clients? 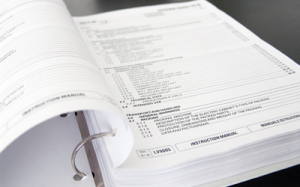 Don’t waste any more time standing in front of a copier or scanner reproducing these manuals. Let Adelaide Scanning take care of it for you. We can customise the manuals for your needs and reproduce copies as required. Provide us with a disc or hard copies of all materials and we will replicate these manuals for you as you require. Scanned and printed in black and white or colour. We can provide a quick turnaround time in a secure environment.